If you don’t already have a FastPass set up for one of the attractions in Walt Disney World’s new because Pandora – The World of Avatar, you may want to wait a few days to visit. 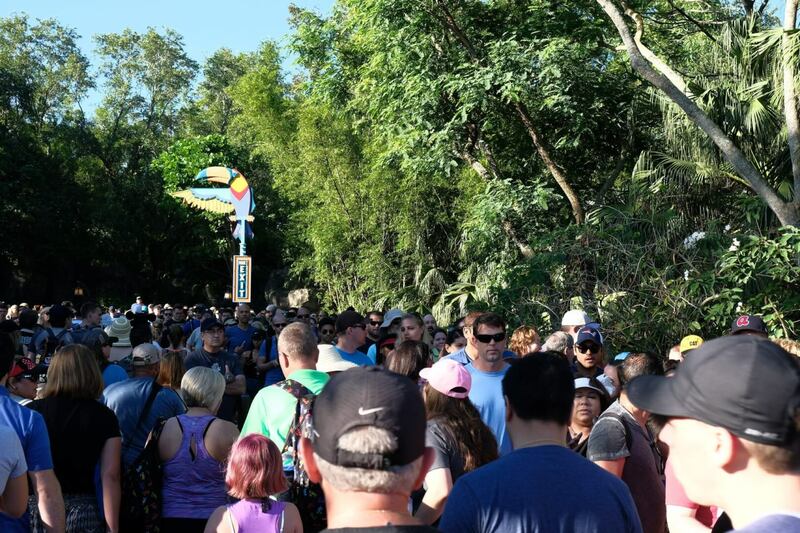 The new land is now officially open to the public at Disney’s Animal Kingdom and after years of hype and anticipation, thousands arrived to the park this morning all eager to see Pandora. 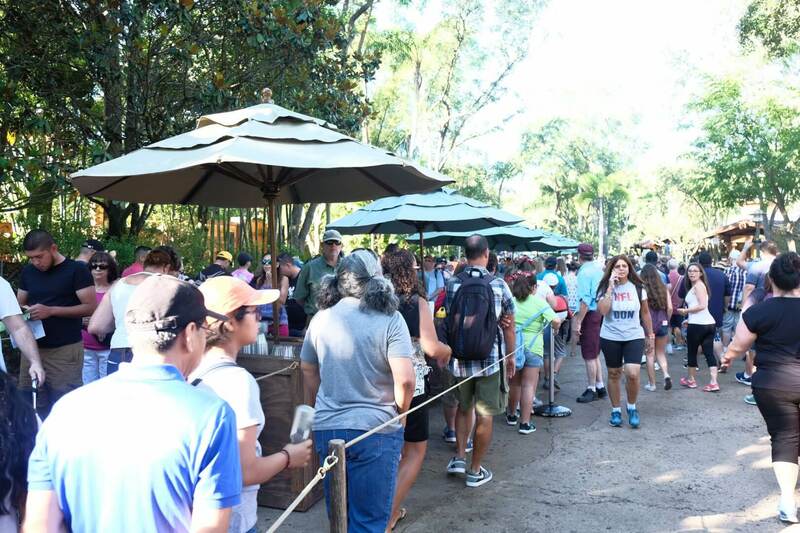 Massive crowds and lines formed early in the morning, stretching all the way from Pandora – The World of Avatar to the entrance of the park. Pandora features an array of elements inspired by the “Avatar” movie, including floating mountains and two new rides, Flight of Passage and Na’vi River Journey. 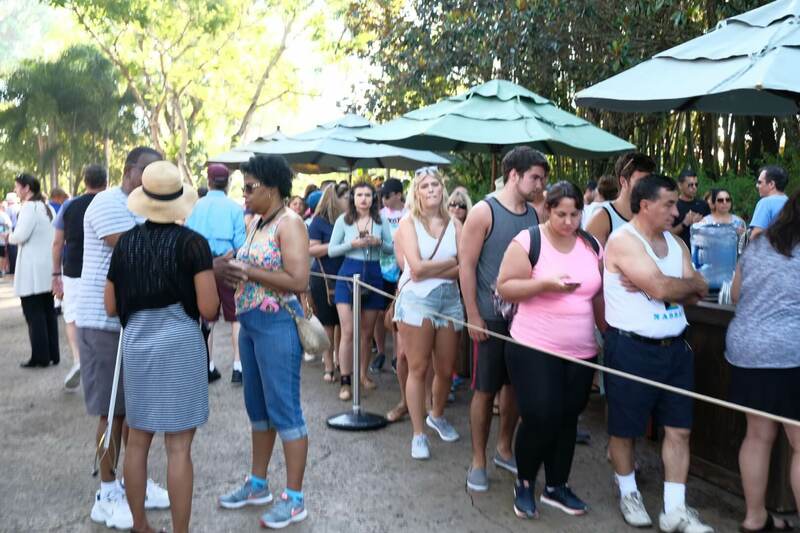 This morning, Flight of Passage quickly shot up to more than a 4-hour posted wait time. 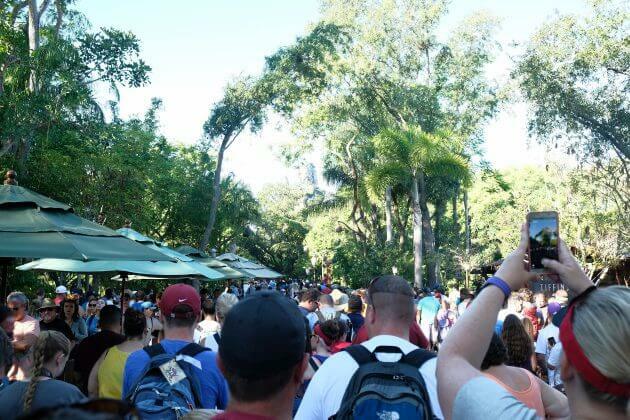 Technically, you can finally experience the new themed land starting today at Walt Disney World’s Animal Kingdom – but additional visitors this morning are currently being turned away as Pandora has filled to capacity. It’s recommended you wait until after opening weekend to try to see its stunning sights. To see all things Pandora – The World of Avatar now without any waits, check out our full guide to the new land including videos and photos of all its attractions, interviews with its creators, and much more. VIDEO: Explore the Collector’s Fortress in Disneyland’s Guardians of the Galaxy – Mission: BREAKOUT! Thanks for the great advice and video . To add all fast passes are taken till Thursday of this wk at all parks last I was on the experience site just fyi for everyone! We were at a very crowded mk yesterday and they are expecting many visitors than excepted due to Pandora! They also said regular guests weren’t supose to be aloud into Pandora till noon today so if you got in before the crowd you were quite Lucky! Though searching further into fp in experience does leave hope for future dates at least for river adventure you can get fps for it. Flight of passage I have no doubt will be unavailable for some time. Between this and rivers as a Disney fan I am glad to see this park get love! Esp bc Walt Disney loved conservation and would have been proud of this park and it’s message. I was there today, it was insane , I entered the park at 7am wait 2 hrs to get into Pandora, once in the line for ‘FOP’ it was a 4hr wait almost exactly, the ride is the best 3D/4D simulator hands down compared to Simpson’s, Star Wars, etc. River Journey was another 3 hr wait so that was a no go for today. I will never go at a New attraction opening at a theme park again. But the scenery was good, wasn’t too special like they made it out to be but it was decent. Allowed! And they basically didn’t allow once you were there and waited. Disney did a horrible job with Pandora offering! Worst ever!!! I have no idea why anyone would waste a full day of beautiful weather standing in a hot line. I just can’t fathom it. 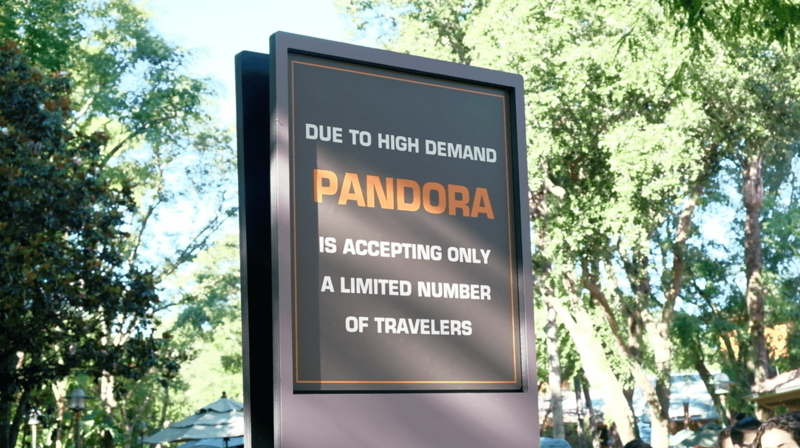 Pandora will be here for years to come – what is the pack mentality of “I have to be there first”? Life is short people!